This Sunday, July 19, the Bronx Music Heritage Center Lab‘s Bronx Rising! 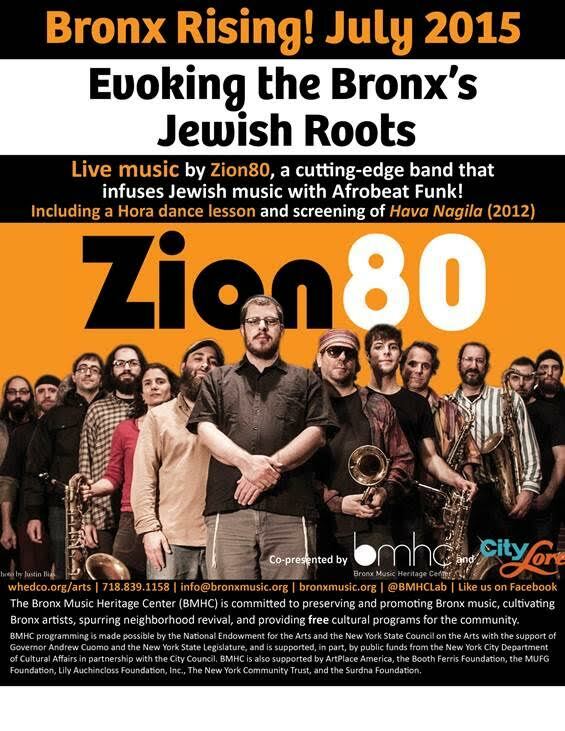 event focuses on the exploration and celebration of the Bronx’s Jewish roots with a screening of the 2012 film Hava Nagila, a Hora dance lesson, and a performance by Zion80, a band that plays Jewish music infused with Afrobeat funk. BMHC is located at 1303 Louis Nine Blvd. and the festivities begin at 4 pm.